Sometimes my being too nice and not wanting to break rules gives me a headache. If you were anywhere near the KL Sentral KTM station gate tonight at around 8PM, you could have heard the guy who was shouting, arguing with the staff of the station about a Touch 'n Go(TnG) card. Because today, I was told I cannot use my Touch 'n Go card (see picture below) at the KTM Komuter. The problem: I' ve been using it while riding the KTM for months now. SURPRISE!!! 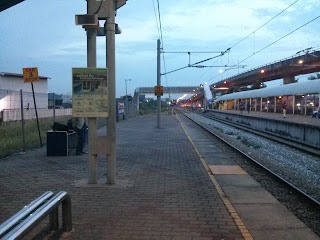 I started my daily journey from Kampong Datu Harun station, there was nothing out of the ordinary except for the fact that I might not have tapped my TnG card in my hurry to catch the train arriving at the station. I did not reach the train in time, thus I was forced to wait at the mosquito infested station (some fans would be great, they say the moving air repels the mosquitos). Realizing the possibility that I had not tapped my card at Kg Dato Harun, upon reaching KL Sentral station, I inquired with the guys manning the gate at KL Sentral if they can check for me before I tap out. You see, being a KTM rider a couple of years now, I know the hassle of being charged the penalty for not tapping in your TnG card and tapping out. It sets you back 17RM, which then you would have to request for a refund at the Touch 'N Go office and wait weeks for the check to arrive. Been there, done that. Back to my story, so the guy points me to the touch' n go counter in the KTM ticket booth which was across the KL Sentral hall. I could have just walked away with a free ride if I pretended to go to the booth and bolt out of that place. But that is not how I do things. Not my way of the ninja, thus says the Naruto inside of me. So I went to the ticket counter where the TnG machine for KTM was and found out it was offline. Went to the gate (the other side now) and asked if they got those handheld thingamajigs which can read the card and see the data and do stuff accordingly, nada. The guys at the gate ask me to go back to the TnG counter. Me: (showing my TnG card) Can you check if I was tapped in the system at Kampong Datu Harun? 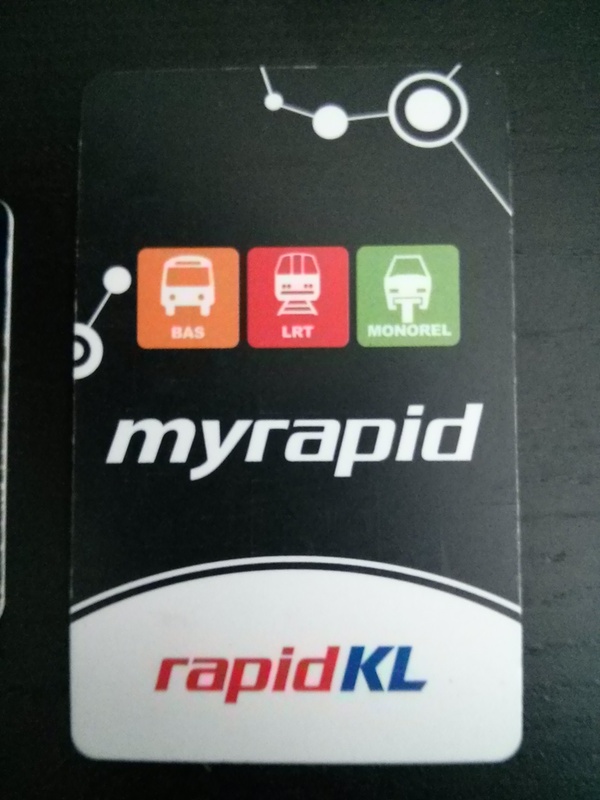 She: Oh, you cannot use this RapidKL card in KTM Komuter. She: Yes sir, but it's RapidKL card. See you got Bus, LRT, Monorail but no KTM in the picture. She: Where did you use it? Me: *points to the opposite entrance* That touch 'n go unit over there. She: But I cannot check that in our system, that's a RapidKL card. Me: I've been using this card in KTM for months, maybe a year now. I just need to check if it was tapped in at Kg Dato Harun or not, I don't want to be charged the fine. Me: Don't you have those tiny units that can check the cards? She: Go ask the person in the gate. 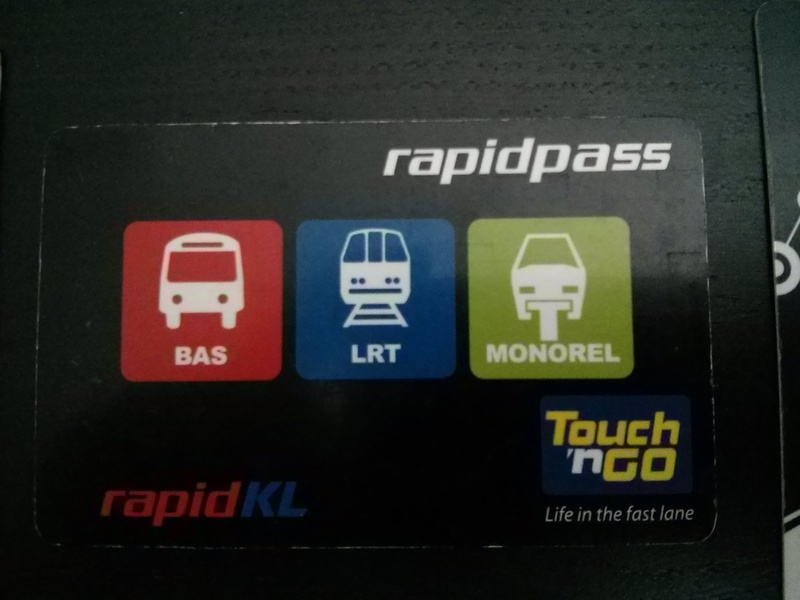 I went to the guys manning the gate, she proceeds to tell them about how this is a Rapidkl card. Everyone now agrees and are telling me the same BS. I again explain in futility that I've been using this for months now and used it at the same station this morning on my way to work. Still, they cannot seem to understand that. I wished I brought my MyRapid card, which is another card which certainly is the card they are referring to which won't work. It went on like for a few minutes, me interrupting her, them and trying to let them understand that I've been using the card for months, and they're telling me it can't be used? It's like, I don't freaking get it. Finally, I snapped -- unable to take it anymore, that all of them cannot seem to understand what I was trying to tell them, and they're saying some BS and tapped the card in the terminal and showed them it works. And there goes my credit. Less 7RM (I don't know why it was 7 only though) from the normal 1.20RM fare from Kg. Dato Harun to KL Sentral. I told the lady what happened, she still doesn't want to believe it can be used and won't believe it I suppose. She told me I have to file a refund request at the TnG office during office hours to get my money back, and she went back to her counter. I decided to complain at the KTM Komuter hotline, funny thing was the lady at the hotline also told me the same thing, although during the end of our conversation she was pretty unsure herself and would ask her supervisor about the TnG cards. At least she somehow listened. For now, I wait for the callback on my complaint, and I will ask if the refund can be done by KTM since I am so far from KL Sentral during office hours and won't be able to go to the Touch 'n Go office. 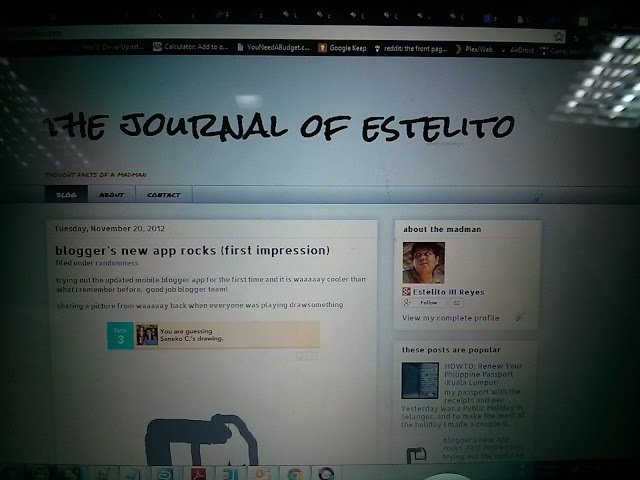 Why am I writing this? 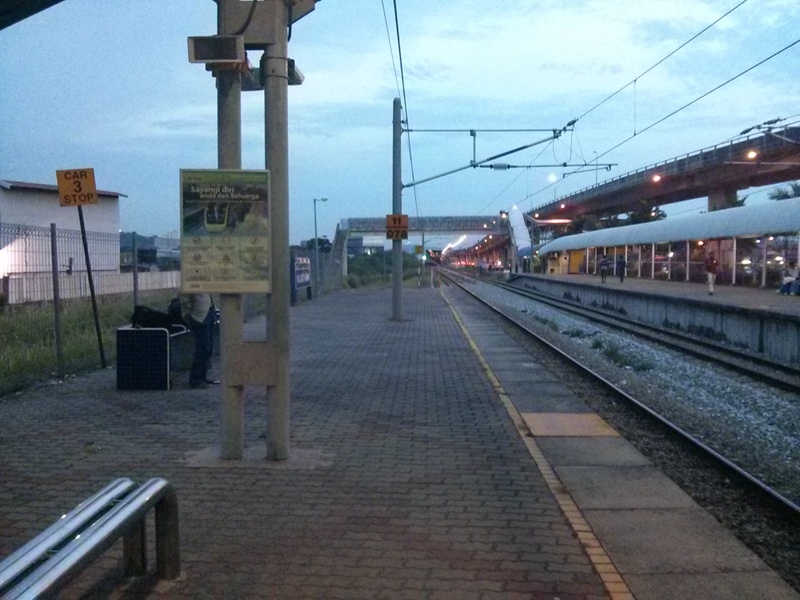 As my previous post about KTM Komuter, I am rooting for this service to improve. They've done some improvement on the logistical side (6 car trains, etc) but on the customer service side they got a long way to go -- want proof? Go see how ridiculous the exit gates are during rush hour at KL Sentral station, wanting to squeeze all those people into 1 exit point isn't the wisest of all ideas, KTM Komuter. Just wanted to shamelessly plug the new look of my blog this afternoon, after a very, very long time. Even the helpdesk for passport renewals post hasn't been replied to for the past couple of weeks mainly because the commenting system in the old template sucked. Hopefully this will be a better experience for both me and you. May you have a good day whichever part of the world you are from.